Do you enjoy physics based games; games that challenge your mind as much as your hand-eye coordination and dexterity? If you answered yes, then you are sure to love Red Ball. 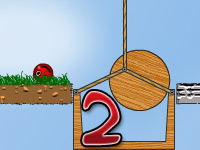 This game is based on basic physics methodology, challenging players to reach a variety of checkpoints throughout each level and complete the levels by reaching the final goal post flag. Are you up for the challenge? Players begin playing using a little red ball as their character. Players are tasked with directing the ball through the challenging obstacles throughout each level and past the checkpoint flags in order to reach the final flag. Sounds easy enough, right? As you complete each level, you face new, more challenging obstacles as well as the ones you’ve already become experienced with. 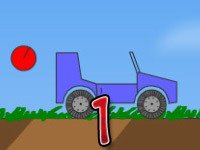 With the introduction of each new obstacle, each level becomes significantly longer and harder to complete. To play Red Ball, you must learn several player controls. First, the directional keys, to move the ball left and right press the left or right arrow keys. 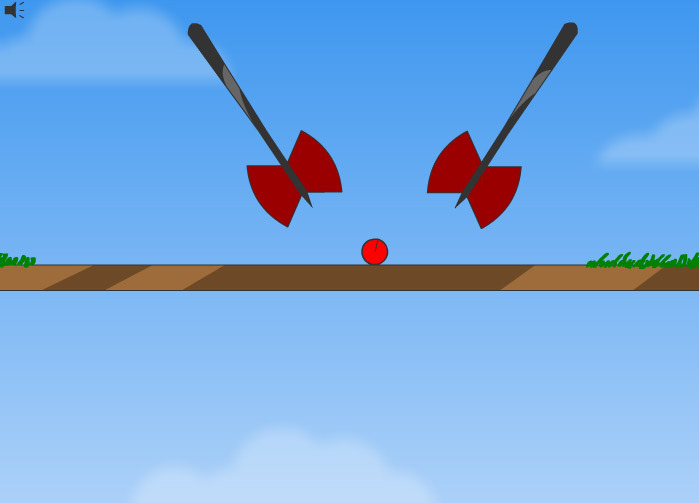 To make the ball jump from one platform to another, or jump over obstacles, use the up arrow button. By pressing the P key on your keyboard, you can easily pause the game, then to resume the game, press the R button. Pressing the Esc button will end the game. The game also provides cute music to play along to, though some users may find it somewhat annoying, or need to mute it for various reasons. You can mute the music by clicking on the speaker icon at the top left corner of the screen, or unmute it by clicking on the same icon. 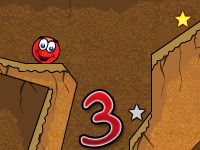 Red Ball offers 12 fun and challenging levels for players to enjoy. As players progress through each level, they become more challenging and significantly longer to complete. For instance, Level 1 merely teaches the player how to use the controls and jump from one platform to another. There are not exactly any obstacles to overcome, unless you consider the possibility of falling off the platform. However, in Level 2, you will use the skills that you’ve learned in the previous level, while learning how to overcome the obstacle called the Funny Ball. This ball swings low to the platform, making it difficult for players to navigate past it. The trick –jump over it! Of course, this tip may not help you in future levels, but you get the idea. For as challenging as the higher levels are, we’ve provided a spoiler list for you to review to get an idea of what you’ll be up against in each level! Level 1 – Basic level, tutorial that teaches players the basic control functions used throughout the game. 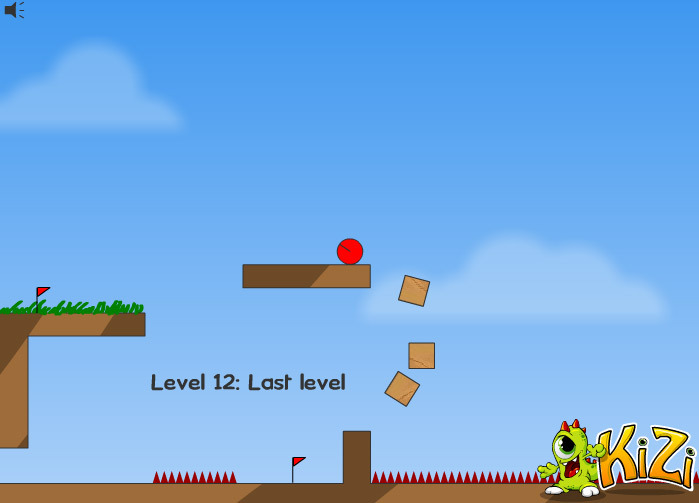 Level 2 – Includes more platforms, longer play time, and introduces players to check points and a new obstacle: the Funny Ball. 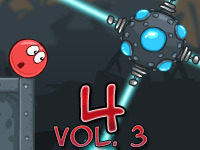 Level 3 – More checkpoints added; introduces players to a new obstacle: Lifts and Thorns; level also uses all previous obstacles. Are you stuck on a level? Rest assured, there are plenty of walkthrough videos all over the internet that you can watch to learn how to complete each and every level in this game! Completing a simple Google search can help you save time, and prevent baldness! ©2019 Red Ball World. All rights reserved. 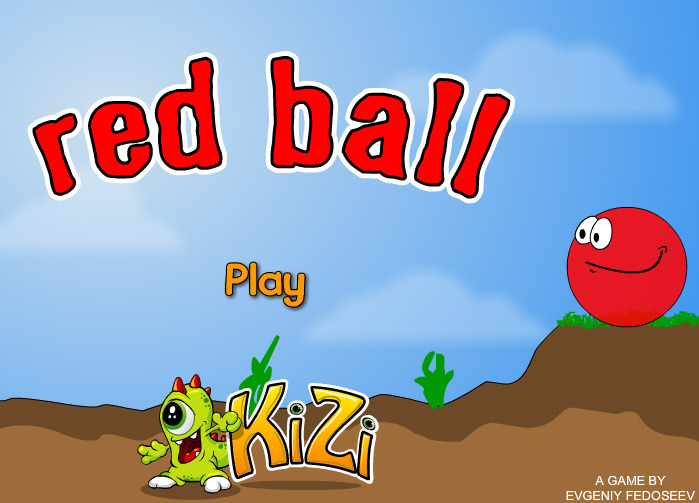 Red Ball is a trademark owned by notdoppler.com & kizi.com . This website is not endorsed by or affiliated with notdoppler.com & kizi.com in any way.